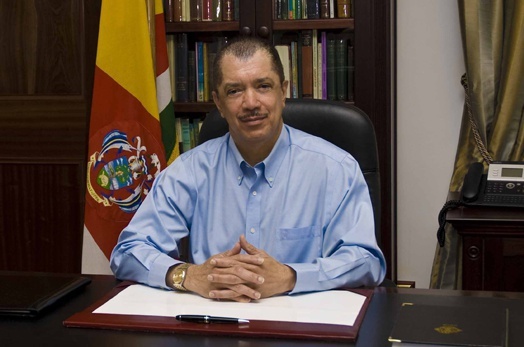 President James Michel has welcomed the fact that Seychelles' economic progress has been recognised by the World Bank this week as it has graduated to the status of ‘High-Income’ country within the World Bank classification. President Michel has however highlighted the importance of looking at development beyond the reductive practice of simply measuring GDP per capita. He has reiterated the importance of addressing the specific concerns of Small Island Developing States and in particular the need to couple all measures of development in the context of countries vulnerability such as through a vulnerability index. “Today Seychelles immense progress through its commitment to reform has been recognised as we have graduated to high income status. Our achievements have been recognised by the world community. After 39 years as an independent nation, we are now classified as ‘High-Income,’ which we have managed to achieve with confidence and determination in developing our economy in the last few years. A combination of factors has enabled us to achieve this graduation, not least, the successful economic reform programme undertaken since 2008, the diversification of our economy and the growth of investment in tourism. The hard work, resilience and innovation of the Seychellois people has brought results and we are committed to continue on this path. We have achieved this together. And if we all continue to work together . We can achieve much more for our country and people,” said President Michel. President Michel has also taken the opportunity to reiterate the call for more targeted support for SIDS through measures such as a vulnerability index, as he advocated at the Third International Conference on Small Island Developing States in Samoa in 2014. He stressed that 'high income status' should not be a means to exclude countries like Seychelles and other SIDS from legitimate development tools that allow them to adapt and build resilience against both the vagaries of the global economy and climate change. "Seychelles has made huge strides to build its economic resilience and this is recognised by this graduation. But we remain highly vulnerable to environmental shocks such as climate change, as well as being very vulnerable to global economic swings. We have reached an income status equivalent to many OECD countries- but we don't have the same access to developmental tools including affordable finance as these countries have. As we recognise this milestone I call on all our development partners not to penalise us for our success." President Michel has in the past expressed confidence in Seychelles’ ability to achieve this status. Last year, in his National Day Address, Mr. Michel had underlined that Seychelles was on course to being a high income country and that this was linked to the dynamism and determination of the Seychellois people. “Seychelles is a dynamic country. We are moving rapidly, and facing new challenges. We have the capacity, courage, energy and resilience to overcome these challenge … Seychelles is today considered an upper middle income country. Can we transform Seychelles into a high income country in the next few years? Yes, we have the potential to do so. We have the potential to diversify and grow our economy. And this has been confirmed by the World Bank. A new study recently published has placed Seychelles among six middle-income countries with a high probability of transiting to a high-income economy in the years ahead,” said the President on 18 June 2014.